Sales started with the arrival of Boxing Day but you can still pop along to your nearest Debenhams and bag a bargain. Brands by the Jaques Vert Group, such as Precis and Planet are offering incredible savings of up to 76% off detailed jaquard dresses and shift dresses – matching boleros are also in the deal! 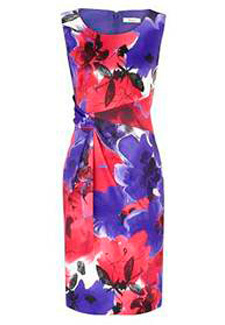 This floral satin dress is down from £129 to only £39! Shop both in store and online now!